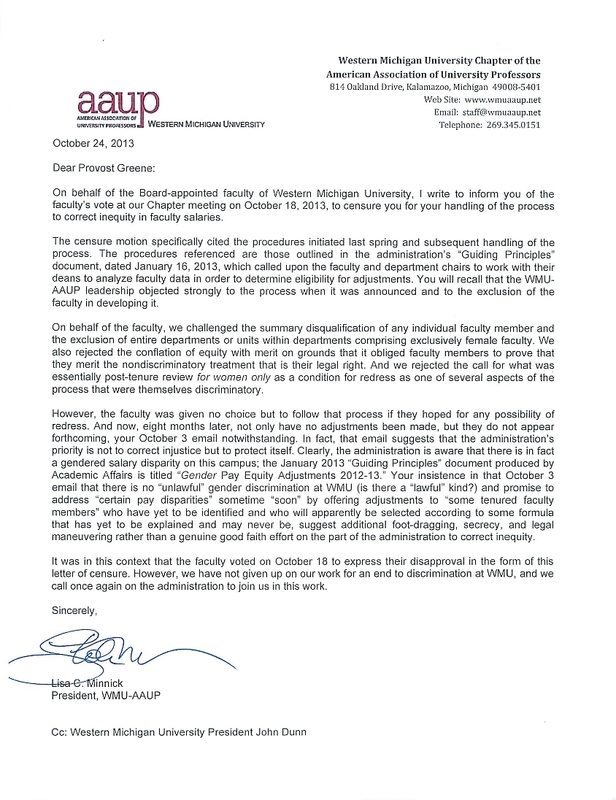 The faculty’s decision on October 18 to censure the provost was covered in the Kalamazoo Gazette this morning. The article, by Yvonne Zipp, is linked here. The letter of censure can be viewed below. Click to enlarge. This entry was posted in Administration Issues, Gender Equity, Media, News and Updates by lcm. Bookmark the permalink.